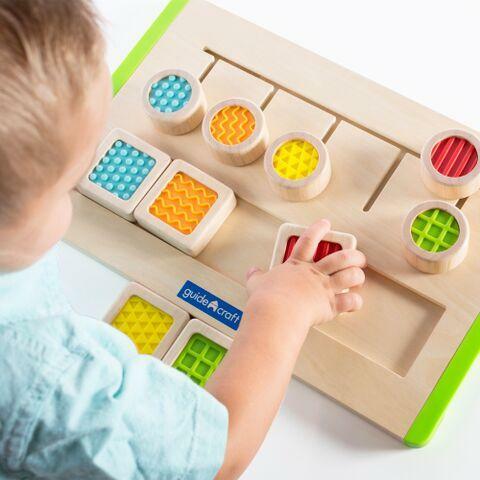 Guide tactile circle pieces across the track to match the patterns of corresponding square blocks with this maze. The five smooth-sanded circular pieces can be moved around the cutout path while remaining affixed to the sturdy puzzle board. Chunky square puzzle pieces with textured centers can be rearranged to create new patterns to follow. Dimensions: W: 15" x D: 9.5" x H: 2"